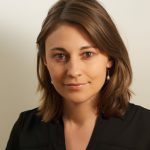 Dr. Julia Macdonald is a post-doctoral fellow at the University of Pennsylvania’s Perry World House and an Assistant Professor at the Josef Korbel School of International Studies (on leave 2016-17), where her research focuses on state threat assessments, use of force decisions, and U.S. military strategy and effectiveness. Her recent work has appeared in the Journal of Conflict Resolution, Journal of Strategic Studies, Foreign Policy Analysis, Armed Forces and Society, and in various policy outlets. Previously, Dr. Macdonald was a pre-doctoral fellow at Harvard’s Belfer Center for Science and International Affairs and a Stanton Nuclear Security fellow in the Security Studies Program at MIT. She has also worked for the RAND Corporation in Washington DC and the New Zealand Ministry of Defense. Dr. MacDonald holds a Ph.D. in Political Science from the George Washington University, an M.A. (Hons) in International Relations from the University of Chicago, and a B.A. (Hons) from the University of Canterbury, New Zealand. Will Killer Robots Be Banned? An Update After Geneva, Julia M. Macdonald, January 4, 2018. How Will Trump Wage War? What Early Signs of a Risk-Acceptant President Mean for US Military Operations, March 7, 2017. US Public Support for Drones: Separating Fact from Fiction, October 18, 2016.